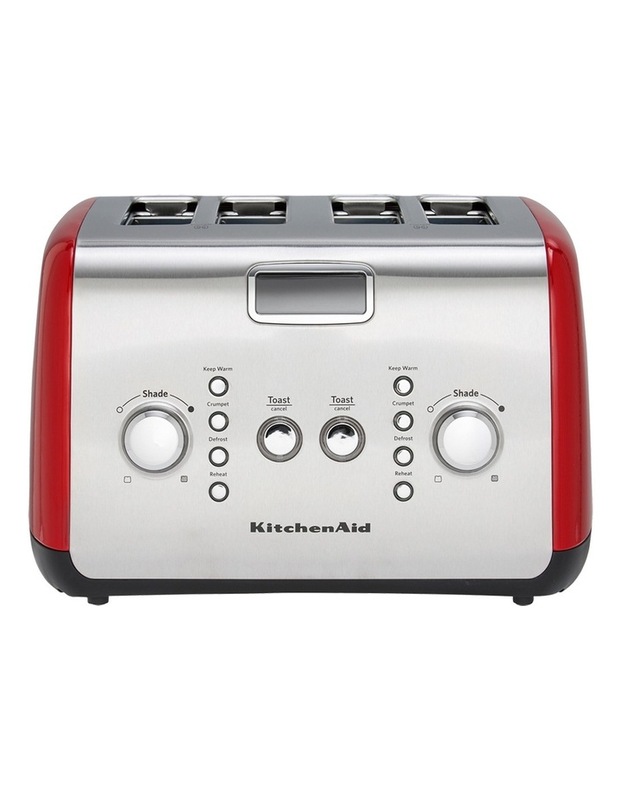 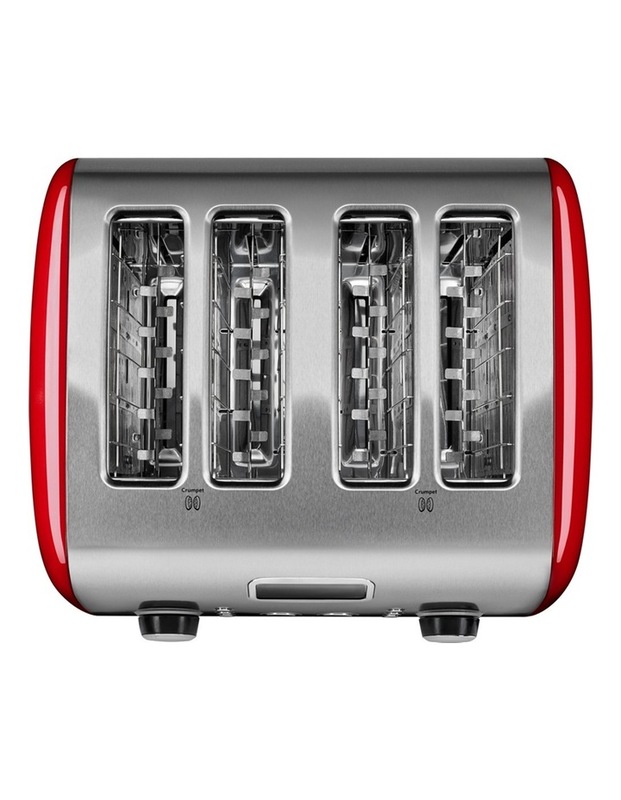 Dual independent controls- each pair of slots work independently of each other to multi-toast. 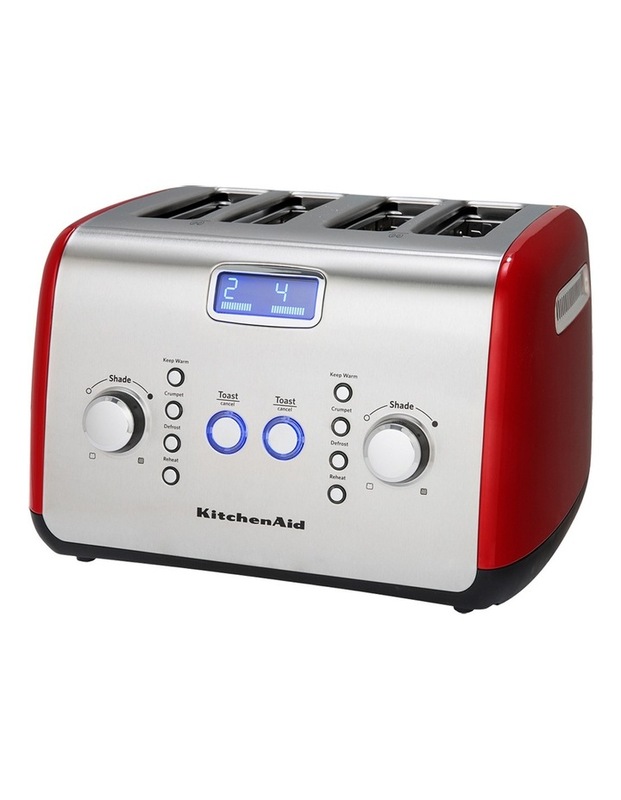 • Multi-Function buttons- keep warm, crumpet, defrost, reheat, toast/cancel. 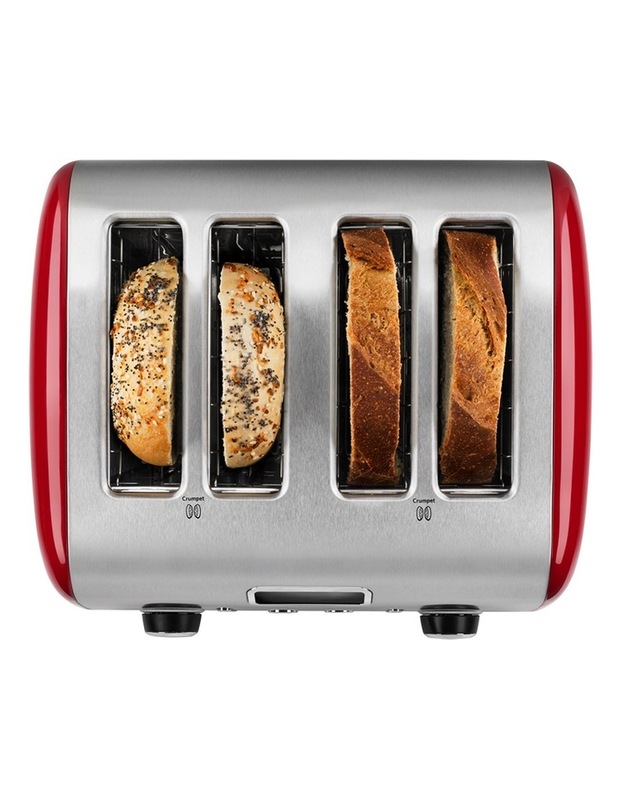 • 20 x 35 x 30cm, 7.5kg. 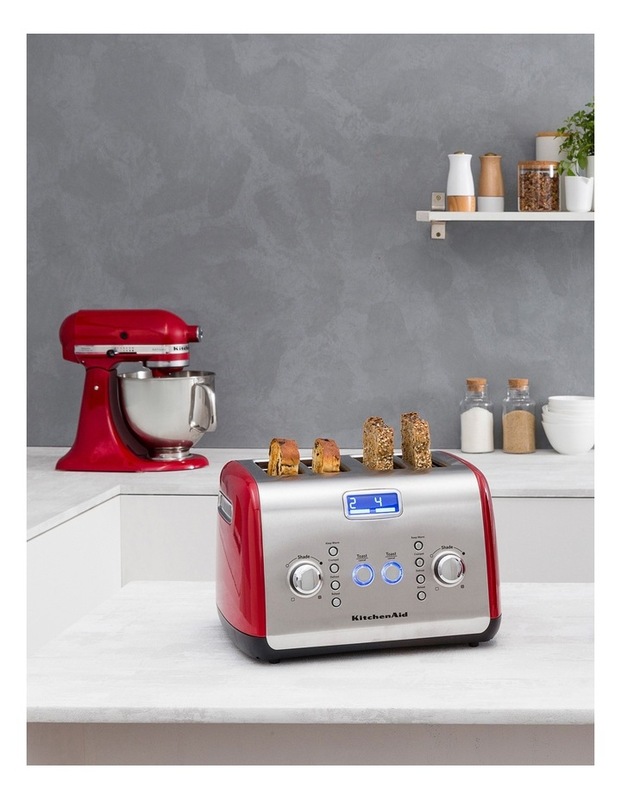 Preparing deliciously golden toast and crumpets is easier than ever with the KitchenAid Artisan Toaster. 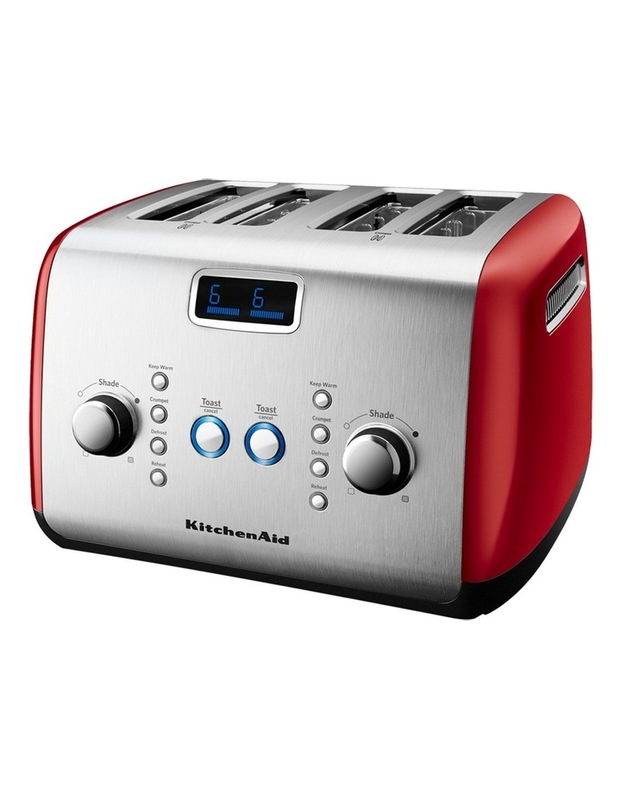 The motorised lift button gently lowers and raises your bread, and the blue LCD display keeps track of your personal settings, so you can enjoy your toast just the way you like it.